dj and musician LetKolben has begun the career in the end of 2006. Its basic and most liked style in which he plays, is - minimal techno. As such styles and directions are not less interesting to it in electronic music as: techno, downtempo, dub, click'n'cuts, deep …, their various merges and combinations. Last edited by LetKolben on Mon May 25, 2009 12:40 pm, edited 1 time in total. 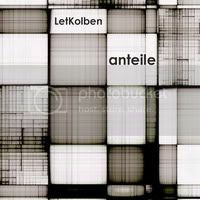 LetKolben a new promo set, entitled "Prozent Extra". 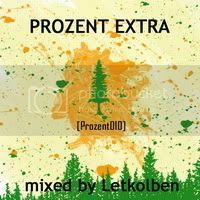 This set was prepared with the joint participation of DJ and musician LetKolben and German label Prozent Music. In the set includes 11 different tracks from the label releases 9 Prozent Music. This set has shades of styles for a deep, tech house, minimal. Play list set was compiled sound designers label Prozent Music - Vlad Kero and Gherda, also is a German DJ duo Quadrakey http://www.quadrakey.com/. All tracks not only possible to download free from the official site of the label Prozent Music - http://www.prozent-music.net/. Last edited by LetKolben on Sat Aug 08, 2009 2:28 pm, edited 1 time in total. I like this artist, mostly his last ep. 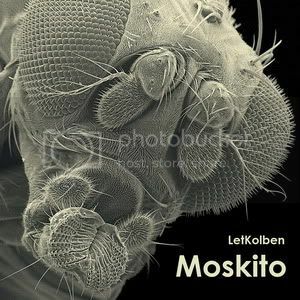 Telepath and moskito are good tracks with strange sounds.